Is there life in the old Phenom II X4 dog yet? Does the latest Phenom II Black Edition have what it takes to beat the mighty Core i5? Mild makeover for AMD's long-serving quad-core CPU isn't enough to make it truly competitive. By now, we were hoping to able to get our hands on AMD's new Bulldozer archtecture processors, but there's still no sign of them, so instead we back with the familiar Phenom II theme. Give it up for the new AMD Phenom II X4 970 Black Edition. 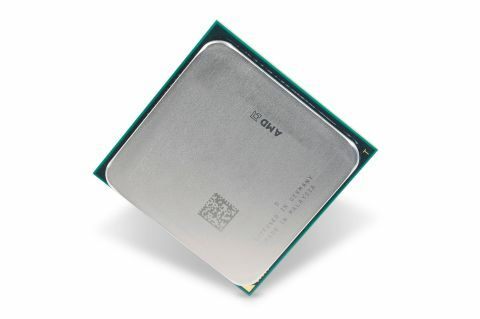 Based on the 45nm Deneb core that's being doing duty in quad-core Phenom II chips for nearly two years, the AMD Phenom II X4 970 Black Edition sports a heady stock clockspeed of 3.5GHz. Yup, that's precisely 100MHz or three per cent faster than the Phenom II X4 965 Black Edition, previously the fastest X4 model. This kind of incremental upgrade is symptomatic of an ageing processor architecture on it last legs. But while Bulldozer can't come soon enough, there's no reason why the 970 shouldn't be an attractive CPU. It all comes down to pricing and positioning. At £140, the 970 squares up directly against Intel's Core i5 760. Game on.